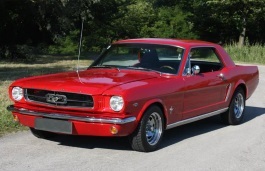 Correct Wheel Sizes, PCD, Offset, Rims and Tire specs for Ford Mustang series. 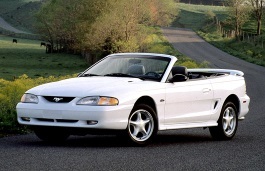 Did 1998 Ford Mustang have a problem with 16 wheels? 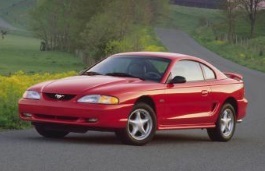 I have a 1998 Ford Mustang v6. Bought original. Came with opton to upgrade to a 16 wheel. Notice lately when turn whell all the way right or left tire rubs on sway bar. Might have always done this, I don't know, ot was my sons car. K now most came with 15 inch. Did ford have a problem with 16 wheels? I have the 19" x 9" wheels with the Brembo Brakes on my 2012 Mustang - my tires are 255/40/19 - will these tires fit on any other 19" wheels (19 x 8.5 ?) or ??? I have a set of 17" wheels from a 2011 Ford Mustang V6 that a friend gave to me (he bought new wheels for it). Will these fit a 2006 Ford Freestar SE? The bolt pattern is the same. 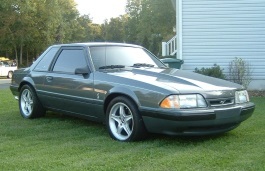 18 or 19 inch wheel on 1994 Ford Mustang? 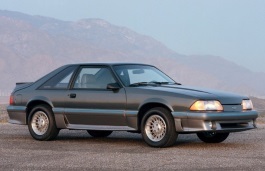 Can an 18 or 19 inch wheel fit a 1994 Ford Mustang? Hi,Gkopchia,I does not recommand you to change 18/19 inch wheel into your ford car,It is too large.17'' will be better. Will my wheels and tires I have on my 2008 Mustang fit on my new 2015 Mustang? Your wheel and tire specs for the 2014 mustang are way off, especially with the brembo option selected. A 17" wheel would never fit with brembos. Even 18s need to be chosen very carefully. Also a 205 width tire would be way too small, the smallest stock tire is a 235 and the track pack comes with a 255. The Boss 302 comes with a 255 in front and 285 in back. hi,i almost ordred rims based on the info on your website, only to find out it is wrong. 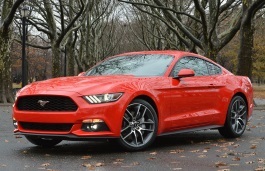 The 2015 mustang v6/ecoboost are not 17x8, but 17x7.5. Also, the bolts are 115, not 114.3. No word on the factory offset. Hi,Rad,According to my data,The faxctory offset for Mustang is 40mm,You can take 35-43mm offset wheels.If you have brought the rims,You can check the back of wheel spokes,Usually,The offset(ET) will carve in it. The 17" are the same for the ecoboost and V6. The eco is wrong on the website. Thank you for comments. We update our data both for Ti-VCT and EcoBoost. Ford changed the wheel studs from the typical 1/2”-20 thread pitch to 14mm x 1.50 pitch. But we have no any info about 5x115 bolt pattern. So if you can please send us email with correct spec to update data. Who the #@$! figures your mustang time line. 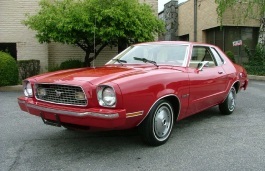 Is it me, When is a 1974 consider part of Mustang 1st gen and what happen to 74-78's? 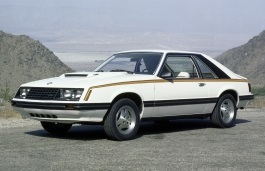 and I think over 75% of 1978 is not part of Mustang 3rd Gen. and 2005 part of 4th Gen?? and 2004 part of the 5th Gen WTF???? 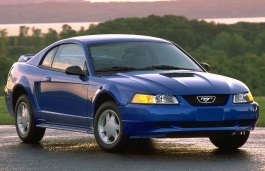 and 2014 is not part of 6th Gen Mustangs either. You really need to discuss this with a mustang dealer. 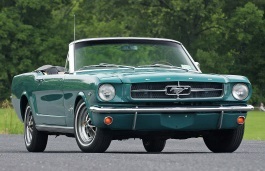 Really want to know I'm not sure why someone sat down and decided to make 1964.5 to 1973 mustangs 1st Generations???? I love to know why they did not apply this same logic to the Corvette's. 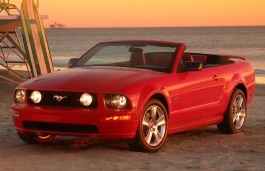 Alex Thanks for your quick reply, Sorry for my rude comments but as you can tell I'm a Mustang enthusiast. 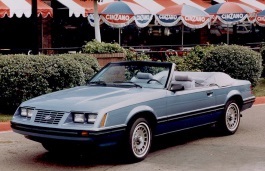 You have the 1978 model year listed under "Mustang III" and the 1993 and 2005 model years listed under Mustang IV. 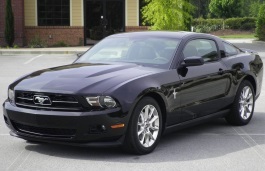 The 2013 and 2014 Mustang GT info is all wrong. 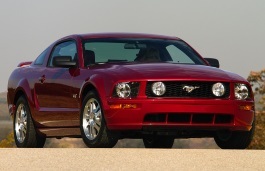 The GT has the 5.0 coyote motor, not the 4.6 mod motor. The 2013 didn't come with factory 20" wheels in any package I'm aware of. Will a 2010-2012 OEM Mustang Wheel, 19X8.5 fit on a 2015 Mustang? Please advise. Thanks. Hi,Dennis,yes,it can fit for your car. I have a 2002 Mustang, and my wife isn't so comfortable with driving in the snow. So, the question is, what size of a tire chain would I need to buy? Hi,Darren,the wheel size is 16*7.5.the offset is 40.the pcd is 5*114.3. Hi, I have a 2012 mustang gt premium, wheel size 19"x8.5" and tire size 245-45-19....will the 2015 wheels 19"x9" on front and 19"x9.5 on back with tire sizes 255-40-19 and 275-40-19 fit on my car? 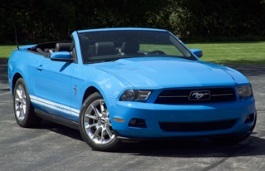 Will 2015 20" foundry wheels work on a 2010 mustang? Hi, Jamie,Can you show what the detail size for 20'' foundry wheels? 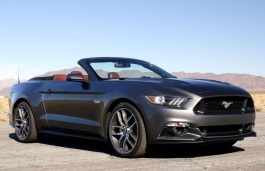 The 2015-present S550 Mustang center bore info is incorrect. It should be changed to a 70.5 mm center bore. Overall, I love the site! Thank you Leo. It has been corrected. will 2016 rims fit on an 06 model? I have a 2010 mustang gt with aftermarket TENZO R 19 x8.5 wheels on it now with 255/40 tires . I want to put wheels /tires off a 2015 mustang [gt performance pkg] size 19x9 up front[255/40 tires] and 19x9.5 on rear[275/40] will the wheels of 2015 fit? What offset do you need to have a 275/40/18 tire on a 10 in. rim fit just within the rear fender of a 2011 coupe GT? How does that affect the backspacing? Hi,Mike,the stock rim offset for your car is 40mm.you can try that.And about the backspacing,It is similar with offset,it shows the distance from your wheel center to the wheel hub in car.If the data is too low or too big,It will make the wheels can't fit on cars. Will 16 inch wheels fit on the rear of a 2015 Mustang GT. I have left over wheels from my Pontiac G6 and would like to use them with a 1.5 inch pattern adapter for a staggered look. Hi John, Thanks for the quick reply. Still need to clarify if a 16 inch wheel will fit (Clear the caliper)? I don't have one to try and cant find an answer anywhere. I know the pattern is different hence the need for the adapter. Will the 19x9 and 19x10 from 15-16 performance pack rims fit on my 2007 GT 500? I read that the front 19x9 might not fit. Hi,Noel,The stock rims size for your car is 17*8.0.So if you use 19*9.0,I think it is ok,But 19*10 is too widder for your car. Hi,Terry,You can use 10‘’ tires and the wheel size you can use 17*8.0/8.5'',if you current tire size is 17''. My current size wheels are 20"
Looking for help on winter wheels for 2008 Shelby GT 500 I just bought. 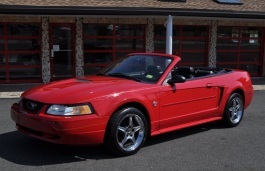 I am trading in my 99 Mustang GT would the stock 99 16" wheels clear the brembo brakes? I need much thinner wheels for the winter here if the 99 won't work what si the best option, getting some thinner 18s? Hi, Chris! According to my data 18" wheels is the minimum for Mustang Shelby GT500 2008. For winter is good to use narrower tires. If compared with standard 255/45R18, I would recommend 235/50R18 or 215/55R18 - cheap and comfortable tire sizes. I don't find the size for my Mustang. 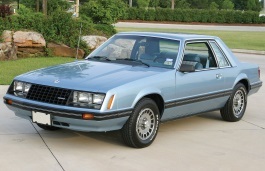 I've an european Mustang, 2.5 Ecoboost. Hi, John Clark! Thanks for the message, we have updated data. Wheel size for EU and US markets are the same. I think you mean 2.3L Ecoboost. The Performance package include 255/40R19 tires and 19x9JET45 alloys. Indeed, it's 2.3l ecoboost with performance package. Include for all EU modèle. 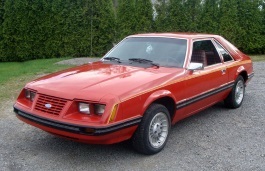 Mustang II's (1974 through 1978) came stock with 13" wheels. 4-Bolt. Hi,Elliot Hertzbach,Thanks for your info. Will rims from a 2014 (18") Ford Mustang change over to a 2007 Ford Mustang (17"). Lug pattern is what I am concerned about are they the same? Hi,David,The bolt pattern of them is 5*114.3.I think they are compatible,you can use it. 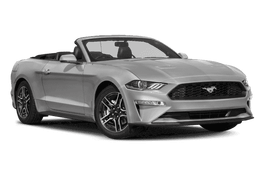 They'll fit, the 2014 Mustang is within the same generation as the 2007 Mustang, but it was "facelifted" around 2010, so they share the same platform and wheel-spec. They're 4 x 4.5 lug pattern. 14 x 6 in rims. Not sure what the offset is. Hi,Mike McCarthy,The stock rims offset is 40mm,You need to make sure the offset is compatible.For rims size,14'' is little small,Because the stock rims size is 15''-16''.But you can try. 1970 Mustang Mach I, will 2006 Mustang GT factory wheels fit properly on the older classic, offset etc.?? Will a 2006 17" X 8" wide Mustang GT factory wheel fit my 1970 Mach I ? 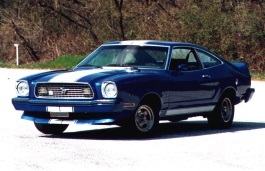 Hi,Randy Dresback,No.The offset of 1970 mustang GT is 5-10mm,different from 2006 Mustang GT factory rims.And if possible,Can you show your Mach I car wheels?it can help to confirm whether it is possible. Is it possible to post a photo? Have a brand new '17 V6 fastback that I want to change out the stock 17" wheels for 17" aftermarket wheels. Is the hub bore critical, or can a larger one on an aftermarket wheel be okay. Will I need to get hub-centric rings to use the new wheels. What about the diameter of the lug nut holes? Hi,Bill,For aftermarket wheels,It's bolt pattern should be same with stock wheels.And for hub bore,If it is bigger than stock wheels,You need to get hub-centric rings. Hi,Mel reyes,What your current tire size?Does it is stock tire size? 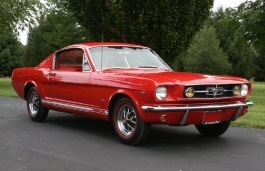 Please list info about 4-lug wheels used on gen 1 Mustangs during the 60s. I believe the 14" stock 4-lug bolt pattern was 4 x 4.25 (or 4 x 108), but have no info on offset, center-bore, or max wheel/tire size. I would guess the max wheel/tire limits are similar to the 15". 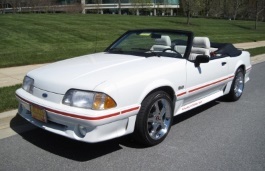 I have a 1998 Ford Ranger 2wd and have purchased the Oe wheels and tires off an 2019 mustang gt. Look good bolt circle the same but with the +40 offset the rub in the inside against the a- arm. Any idea what side bolt on adapter I should us ??? Hi,Bobby Armstrong,For 1998 Ford Ranger,the offset is 12mm and 2019 mustang gt offset is 40mm,If you truelly want to use it,you can use some spacers.to increase offset. Is there any reason why 8x19 wheels are not included on the list? Only 8.5x19 or 8x18 are included. For example Ptrol P5A looks nice, 19", firs 245/40 or 245/45 tires.. 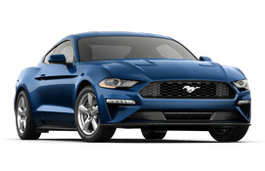 I have a 2019 Mustang GT, Can I get some rims with a center bore of 72. 7mm offset +35mm ?